Let’s set the scene: A customer shopping online for a jacket sees a social media advertisement about a sale at a store she loves. So she heads to her nearest location to try on jackets and take advantage of a sweet 20 percent off. When she gets to the store, though, she finds that the sale promotion isn’t running there. So she picks out a jacket she likes and heads home to order it online to take advantage of the savings on offer there. When she checks out, she plans to pick up the jacket from the nearby store, except that isn’t offered. She can only wait for shipping, which also comes with an extra cost. Can you imagine that customer’s frustration? She’s a perfect example of why consumers demand, more and more, an omnichannel experience. In order to deliver a seamlessly omnichannel experience to customers, companies need to utilize multiple communication channels, like websites, social media, and brick-and-mortar stores, and ensure all platforms stay on the same page. The idea is that whichever channel the customer uses, he or she should get the same experience. Companies should be making an effort to provide an omnichannel experience — according to Forbes, 98 percent of shoppers want purchase, delivery and returns to be easy and accessible across multiple channels. Aberdeen Group found that companies with omnichannel customer support retain 89 percent of their customers, compared to 33 percent for companies that have weak omnichannel experiences. And a report by IDC Retail Insights showed retailers who do provide an omnichannel experience saw a 15-35 percent increase in their average transaction sizes. There’s a real case for why businesses should be embracing this philosophy. But there are a lot of roadblocks that can get in the way. As you move toward an omnichannel experience for your own customers, it’s vital to know what problems may arise when companies try to understand and achieve omnichannel support. Here are some of the issues you might encounter, and how you can address them. Having a presence online, on mobile and in a brick-and-mortar store is hard enough. What’s even harder is integrating all those presences so your customers have consistent experiences no matter which one they use. Omnichannel support means having the same customer data available across all those different channels, and thinking about how messaging from each channel will affect messaging from the other channels. Remember that jacket shopping example above? That’s an example of a company where the experience was not consistent online, in the store and on social media. That’s exactly what you don’t want — your channels need to be integrated to avoid that. Customers want convenience, and that means they want to be able to use their preferred support channels, switch between channels at will, and get faster resolution to problems with less effort on their part. The only way for you to provide that for them is by integrating all of your channels so information flows seamlessly between them. Does your company have a head of brick-and-mortar operations, a head of ecommerce and a head of mobile? If so, it’s going to be difficult to move away from the multi-channel strategy you’re using now to an omnichannel experience. You have to break down those internal “silos” and get everyone working together, not in separate departments. At the end of the day, providing omnichannel support is all about improving the customer’s experience. If you’re losing data and context as customer interactions move between channels, you can’t expect to deliver the seamless experience your customers are looking for. It’s important to maintain a system of contextual data surrounding your customer interactions, allowing your agents to provide personalized support even as customers reach them via different channels. This is a complex problem to solve, but there’s plenty of emerging software that can help. A cloud contact center solution may be a good technology to invest in to make communicating with customers across multiple channels less complex and integrated and affordable. Sure, it’s an upfront cost. But considering the benefits of using omnichannel support to create loyal, returning customers, this is one investment that is likely to pay off. Too many businesses use legacy software and proprietary programs that struggle to evolve with how fast the technological landscape actually changes. According to a PwC study, 40 percent of retailers say their biggest problem in the way of achieving omnichannel support is systems and software that they struggle to integrate. What can we learn from this? Investing in more proprietary software to achieve omnichannel support is likely heading down a road that will cause more headaches in the future. Instead, use your software budget to achieve better flexibility by investing in programs and technology that will help you bridge the gaps in the back ends of the software you already have. At the front line when it comes to providing the customer experience you want? Your employees. That means they need the right support to do the job and do it right. Your support agents need to have access to central software that tracks tickets from all support channels. They need to have access to all that customer data you’re not collecting so they have the context they need to provide consistent support to customers who use multiple channels, and to personalize the experience. They need to have other customer data, like information about prior support issues, past interactions and transactions with the customers they’re supporting. And they need to be able to review all this information, as well as the new tickets, before speaking with customers. Your technology should also be able to track changes in channel volume, allowing your support team to adapt accordingly. Support agents need to be able to collaborate with one another to solve problems as a team. And they need to be given the time and flexibility to provide personalized experiences to your customers. Instead of forcing them to follow a script or meet ticket quotas, give them the time they need to find creative solutions to customers’ specific problems. Only with the right tools can your support team provide an omnichannel experience. And your customers will appreciate the experience that puts them first. Sure, moving to an omnichannel support system will take work, money, time and effort. But as more and more customers demand that kind of an experience, it’s the only way to be at the forefront of your industry. Moving to omnichannel support will give you an advantage over your competition — after all, a Periscope survey found that 78 percent of retailers are lacking in omni-channel support, and instead focusing on developing “a well defined cross or multi-channel strategy,” despite customers clamoring for omnichannel. This is your chance to stand out. Go get ‘em. 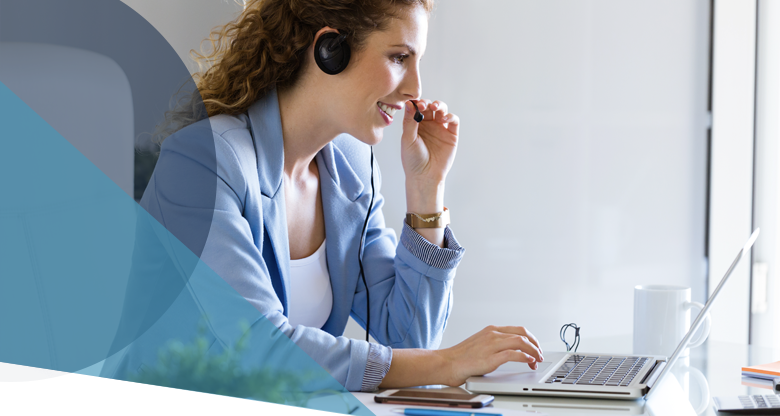 Want to learn more about how to elevate your customer experiences through intelligent support solutions? Receive monthly updates on what’s new on our blog straight to your inbox. Sign up below.